Li Kui is a famous character from The Water Margin . As his nickname ‘Black Whirlwind’ indicates, he is always depicted as a muscular man with a dark complexion and fiery eyes. His other nickname is ‘Iron Ox’, as he has a short temper and is tough and stubborn as an ox. Li is known as an illiterate warrior, but ironically the painter Huang Yongyu depicts him here reciting poetry. In the inscription, Huang Yongyu comments: ‘Nowadays many poems are in the style of Li Kui’s works. Isn’t it a pleasure to read his original work?’. Li Kui is a rough and ready outlaw in the 14th century popular novel Shuihu zhuan (The Water Margin), a fighter rather than a poet. Huang Yongyu laments in the inscription that Li Kui's poems were never written down, while those of his modern equivalents abound. 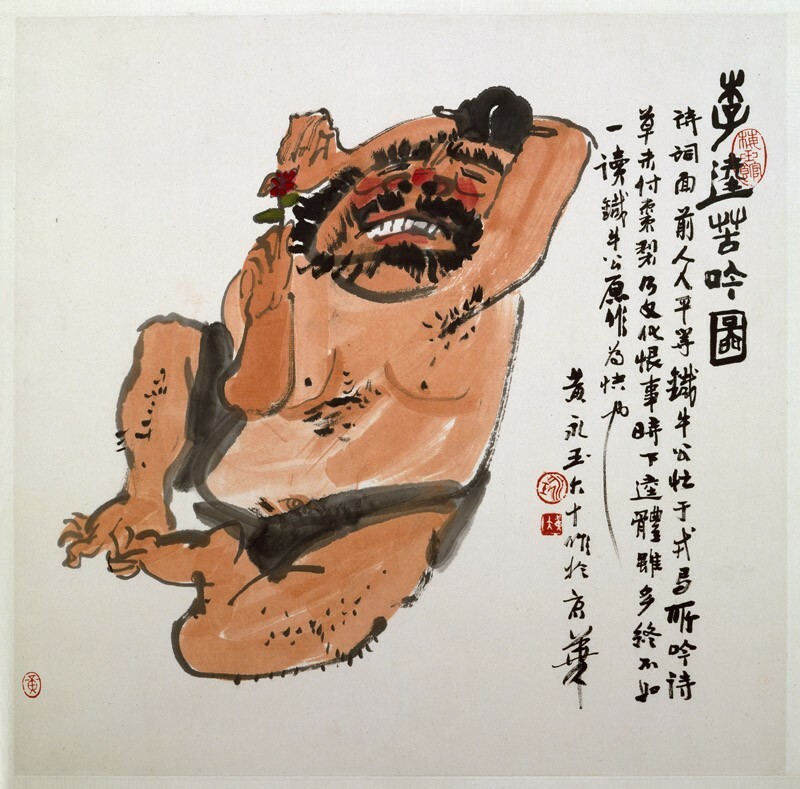 Huang Yongyu painted at least two more versions of this subject in the same year, 1984, while in Beijing.